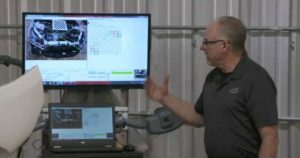 While exposing two examples of what not to do, a group of reinspectors on a Tuesday “Repair University Live” also offered suggestions for better collision repair quality. Quality control occurs in the factories that built the cars in the first place, and the group called it a necessity for the auto body shops which rebuild them. Montanez argued that what body shops call a “QC” can be a misnomer. A QC should be putting the finishing touches like removing excess stray wax, making sure the car was completely washed, restoring radio presets, etc., he argued. Real quality control involved departmental checklists to verify each stage of the repair was done correctly, Montanez said. “You need to catch it right then and there,” he said. He suggested someone — a foreman, damage assessor, whatever — double-checking the work a tech has done. This can also occur during the repair itself, when the mistakes or correct work aren’t covered by panels and easier to see, he said. Procedures like destructive testing, might not be feasible on every vehicle. But as the hour-long broadcast showed, there’s a lot of embarrassing stuff that can be caught in a short amount of time — and save a shop from buy-backs, redos, lawsuits, or mere reinspection ridicule. Even an insurer might want to get in on the action, directly or indirectly. Former State Farm auto body liasion George Avery recently called for carriers to do a better job checking direct repair program shop capabilities, and comments by Felder and Cada also suggested a quality control role for insurers, at least in checking estimate accuracy with the finished product. 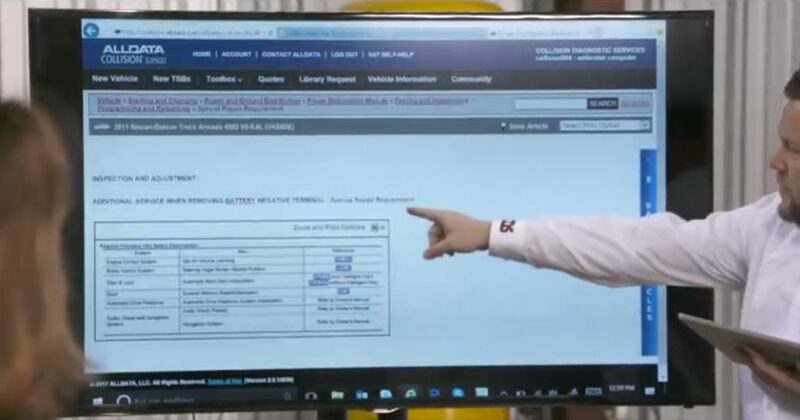 Besides more formal frame measurements using a bench or even dedicated fixtures, a collision repairer can easily get a data-driven snapshot of a vehicle’s damage — or items missed by staff — by using a tool like Matrix Wand, the team suggested. As Felder observed, it takes about 5 minutes and can be done without a rack or an A-level technician. 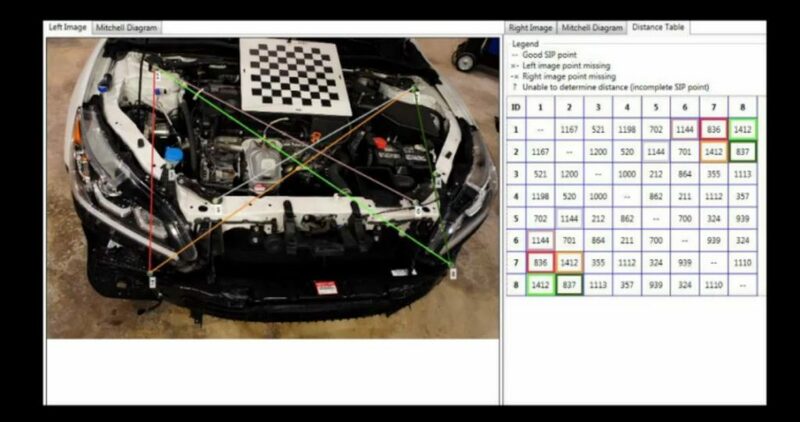 Unlike traditional photo estimating, which is largely absurd except perhaps for triage, such “photogrammetry” calibrates off a grid for scale and compares X, Y, and Z-axis measurements on the car to those on an undamaged vehicle. “Its amazing how many repair shops do not measure the vehicle during the time of the estimate,” Cada said, arguing that they could have caught issues right from the start. The device also allows additional measurements to be checked against those taken by the repairer, keeping a record in situations where a customer tries to pass off new damage as an error by a shop. Checking, reading and following the repair procedures is necessary anyway. But an estimator or technician can also quickly get a rough idea of the scope of the job by using common sense and checking procedures for seemingly simple repairs. As Rodenroth described it: You know the car’s been in a collision. You will have to do some welding, even if it’s something as simple as welding pins to pull dents. Welding demands the battery be disconnected. And on a cruder level, a repairer can always search for a word like “relearn” or “scan” in an OEM repair manual or system like ALLDATA and get a basic sense of what’ll be required of them, he said. Sitting down and carefully planning out the repair using the procedures can avoid mistakes, Montanez suggested. “Don’t rush through a job,” he said. Don’t start repairing a vehicle until all the parts are in hand and verified as correct. Then trial-fit those parts. “You need to trial-fit stuff,” he said, describing it as a step included in many OEM manuals. Even General Motors — not some “wacky German company” — tells you to trial-fit the door when you’re installing a B-pillar, he said. Sometimes installing a new fender requires an undamaged hood to be moved and realigned with the new fender, he said.